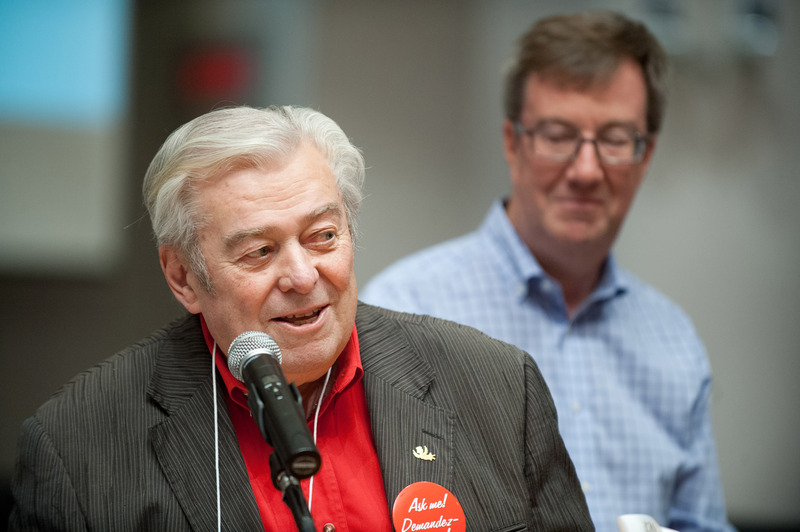 The City of Ottawa and the Ottawa Champions baseball team are inviting residents to remember popular local community builder Max Keeping, by filling the RCGT Park baseball stadium for the ball game on Saturday, July 16, at 7 p.m., when the Champions will host the Rockland Boulders. The game will be preceded at 6:30 p.m. with a short ceremony renaming the Coventry Pedestrian and Cycling Bridge over Highway 417 the Max Keeping Bridge in honour of the late broadcaster, community booster, longtime booster of baseball in our city, and tireless advocate and fundraiser for vulnerable and sick children and youth in Ottawa. Mr. Keeping helped raise more than $100 million for organizations such as the Children’s Hospital of Eastern Ontario (CHEO), Roger’s House, the United Way, the Boys and Girls Club, Operation Come Home and the Cancer Foundation. In recognition of his generosity, the Ottawa Champions will donate $1 to CHEO from each ticket to the July 16 game that is purchased in advance. Mayor Jim Watson and David Gourlay, president of the Ottawa Champions Baseball Club, encourage residents to buy a ticket, enjoy the ball game as the Champions play the Rockland Boulders, and take a moment to remember Max — a local hero who changed countless lives for the better. The Max Keeping Bridge connects the Overbrook community, Raymond Chabot Grant Thornton Park (baseball stadium), the Via Rail station and the future Tremblay Station of the O-Train Confederation Line.